People in social media are busy with politics already. Many post of their very own bet for a certain position either national or local. However, a famous rice cake called Biko is making a trend in the social media. 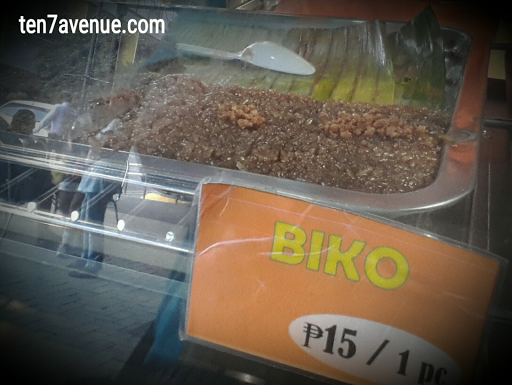 Yes, Biko...a rice cake made of glutinous rice topped with lalik or special sugar caramel. Anyways, there, I craved. Being in Manila, living and working here without a kitchen will be completely an unability to cook my own Biko. So, before the Easter Sunday, I am not in a search for an Easter egg but of a biko. I tried to search the Internet for an authentic and not commercialized Biko. However, I am not from this city, it is hard to find one and so I ended up looking for it at a supermarket. I did not fail! I have found Biko!!! It is a bit expensive for a slice at 15 pesos but at least cravings solved. Thank you for visiting my avenue. More stories to come.